Dota 6.59d Bug | Dota 6.59d Bug Detected! 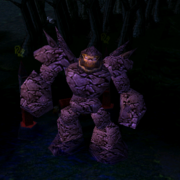 Dota 6.59d Bug. Lol IceFrog you didn't fix all bugs. There are still bugs in Dota 6.59d Series. There is a bug with Luna's Ultimate that never stops. But the problem is he can't find anyway to reproduce it. If he able to reproduce Luna's Ultimate then this bug will be definitely game ruining. I think IceFrog may release Dota 6.59e to fix this bug xD. If he release Dota 6.60 to fix this bug then it would be really great. tyt yar ahmed lush bug nikala tu nay waisay nick kya hai tera garena par? sa tingin ko d bug yan..
collide maps yan na gnawa ng mga hacker!! tested and proven ko na rin!! that day i play my juggernaut got unlimited omnislash...cause by the Arvenus bug that can't die at all because other hit him no damages!! one day i play with razor and his seeker (the last skill) strikes every second....i don't know how I did it..
i can do it if you want..
there are hackers/editors that try to make a new map with a same name but unnecessarily good. guys d ko kc na save ung replay kc nag quit ako kc ung kakampi naming c lucifer ay madaya.ganto kc nangyari lvl 5 cuiras, taras, bot at eaglehorn ang gamit nya pinanood ko sya parang ung 1st skill n doom ay na ba bug nya.. hnde pwede na map hack kc ako ang host nun 6.59d un..sa tingin nyo bug un o cheat..
To all who still thinks that this is Luna Ulti is still a bug, it is not a bug!! it is a type of hack! i've see many ppl using it..i know its not a bug because i know how to do the infinite ulti..but i just hate ppl using these kinda hacks..thats y i dont use it myself..it just spoil the game..TOTALLY!! so please stop it!! i know how to activate the bugs . but only in specific 6.59d map . haha . :p come play with me at garena . stop saying its a new map, then if it is people will have to download it again, and I just finished a game with luna using the ulti bug, we werent in WTF mode, stop thinking you know everything. tangina nio mga gago.. bobo b kayo? hey ho can teach me how to use bug in 6.59d? pm me please on how to do that.. The luna "bug" is actually a hacked map, which wc3 cannot differeniate between regular 6.59d and it. how to use the lucifer bugs? 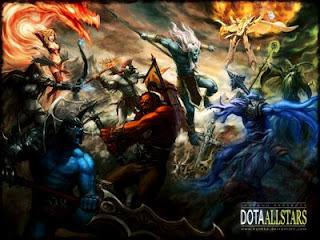 In dota..If Ur a good player,,u don't nid some cheats and bugs.... and those who making or creating collided maps.. are weaks! .add me sa garena para turuan nio ako pls..
where can we find that Collided map?? is there a indication that this map is a Edited map?? plss teach us how to activate this one or teach me what kind of map shall i download.. tnx..
noob, these are not bugs. It's called map collisions. A player could cheat if he has a collided map. Really noob calls everything "bugs"
plzzz teach me how to bug in 6.59d and..
how to ply bug......can teach me??? ?